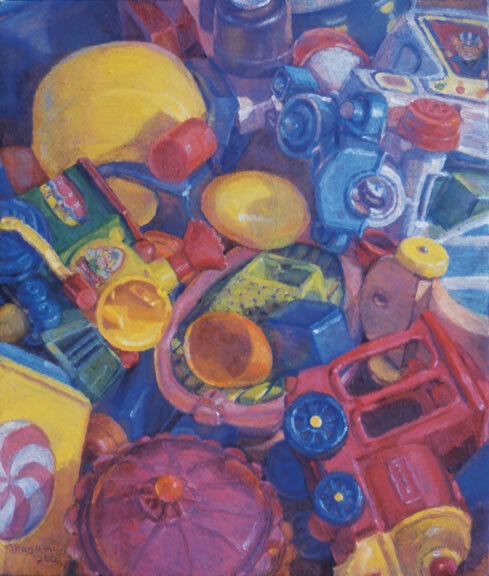 At the age of nine, Gary Shankman began his studies of art at the Corcoran School of Art in Washington D.C. He earned his Bachelor of Fine Arts in Painting degree from Boston University and his Masters of Fine Arts in Painting degree from American University. Gary received an ITT International Fellowship Grant to Belgium where he studied at the Academie voor Schone Kunsten in Antwerp. 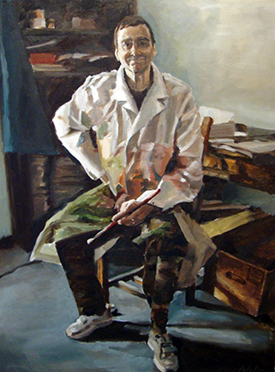 He was awarded a scholarship to Skowhegan School of Painting and Sculpture in Maine. 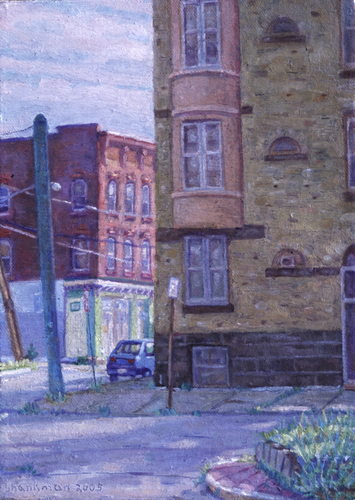 He lives in Albany, New York, and has been teaching drawing and painting at Sage College of Albany since 1986. Gary has taught for the Smithsonian Associates since 1978, the University of D.C., Maryland College of Art and Design, and Northern Virginia Community College. He was also an Artist-in-Residence for the State of Oklahoma and the City of Rockville, Maryland. 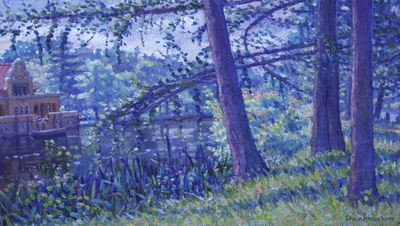 Gary’s oil paintings of landscapes and still life have been displayed in solo exhibitions in Antwerp, Belgium, London, England, Washington D.C., and Albany, New York. His artwork has been shown in group exhibitions and national competitions throughout the United States. Reviews have been published in the Washington Post, New York Times, Cincinnati Post, Schenectady Gazette, The Field (London, England), and Metroland (Albany, New York). 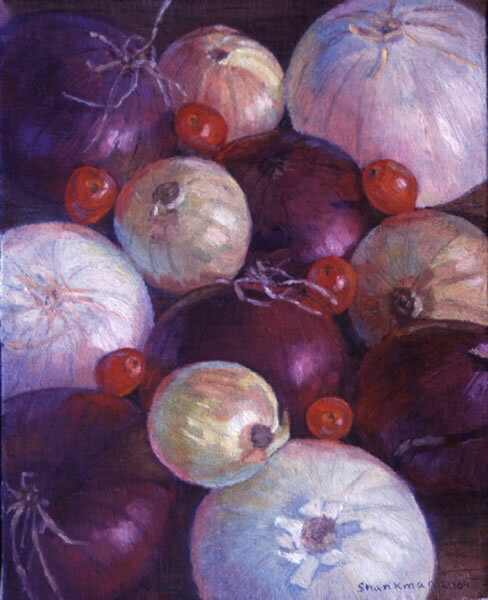 Gary's paintings are in the Watkins Collection, American University Museum, the Mabee-Gerrer Museum of Shawnee, Oklahoma, the Superior Court Art Trust of Washington D.C., and the National Home Furnishings Association of Chicago, Illinois. He is listed in several publications of Who’s Who Among American Teachers, Who’s Who in American Education, Who’s Who in the East, Who’s Who in America, and Who’s Who in the World. In 2005, Gary was named teacher of the year by the Phi Theta Kappa International Honor Society of Sage College of Albany. The first objective of an artist is to observe--to study nature. An artist must begin to see and to spend as much time as possible making contact with the world around him. Learning to paint is actually learning to see. By "seeing", I mean the employment of all the senses in order to achieve a complete picture of what one is rendering. Although one uses his eyes, one should not close out the other senses of hearing, taste, smell, and touch because they can benefit an artist in his observations. By observing, touching, and employing all his sense, an artist will come to an understanding for the forms found in nature. In my art, I paint and draw directly from nature. I enjoy working from life and interpreting what I observe. I am intrigues by the effects of light and color in nature. Light dappling the side of a house, light creating the form of an apple, and light caressing the objects in a room, are the subjects which fill my canvases. In my work, light, mood, atmosphere, and paint combine to form a work of art. Art is the main focus of my life. Since the age of nine, I have worked hard to become the best artist I could be. My art is done in the spirit of the following quote by Maurice Grosser: "The painter draws with his eyes, not with his hands. Whatever he sees, if he sees clear, he can put it down. The putting of it down requires, perhaps, much care and labor, but no more muscular agility than it takes for him to write his name. Seeing clear is the important thing." Take your Studio Arts experience beyond the classroom—stay connected to fellow participants and instructors through our online resources and updates!